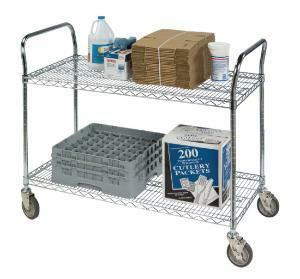 Heavy-duty utility wire carts feature bright chrome-plated wire shelves and corner posts with integrated handles. Posts also feature groove rings in 2.5 cm (1" ) increments for shelf adjustability. 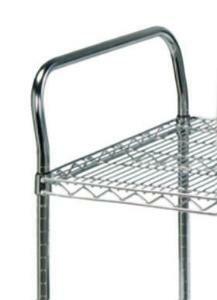 The carts have an overall height of 99.1 cm (39"). 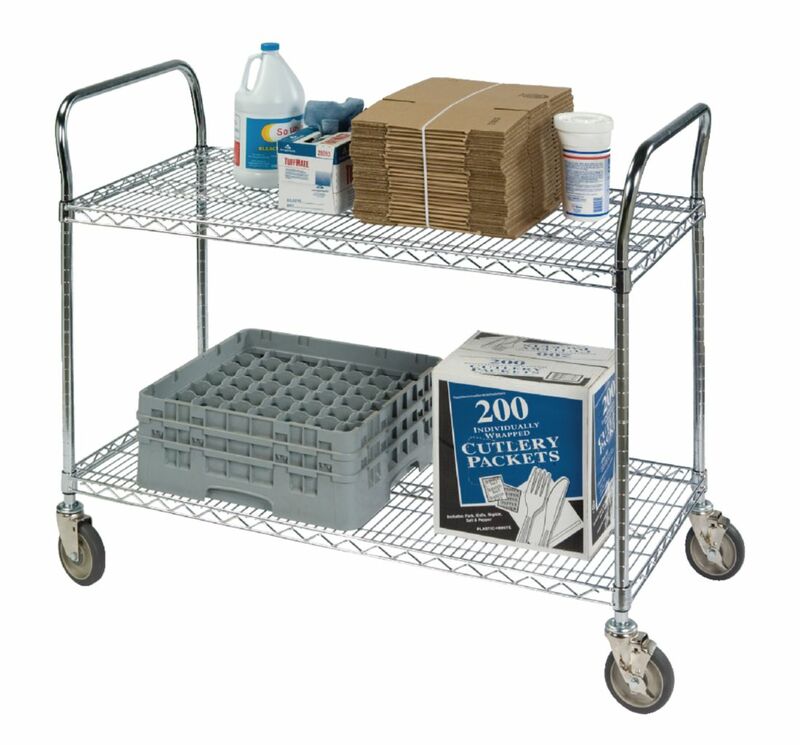 Ordering information: This cart is supplied with two or three shelves, two inverted U-frame leg/handle assemblies, and four 12.7 cm (5") swivel casters.